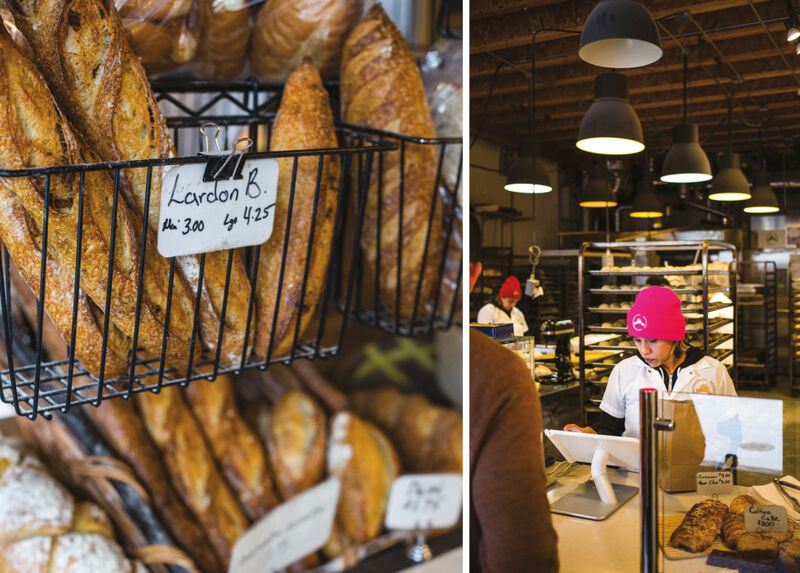 When you head to Dos Hermanos Bakery, a cheery wholesale bread operation on North Williams with a retail counter packed with loaves and pastries, you’ll be forgiven for a jolt of déjà vû. 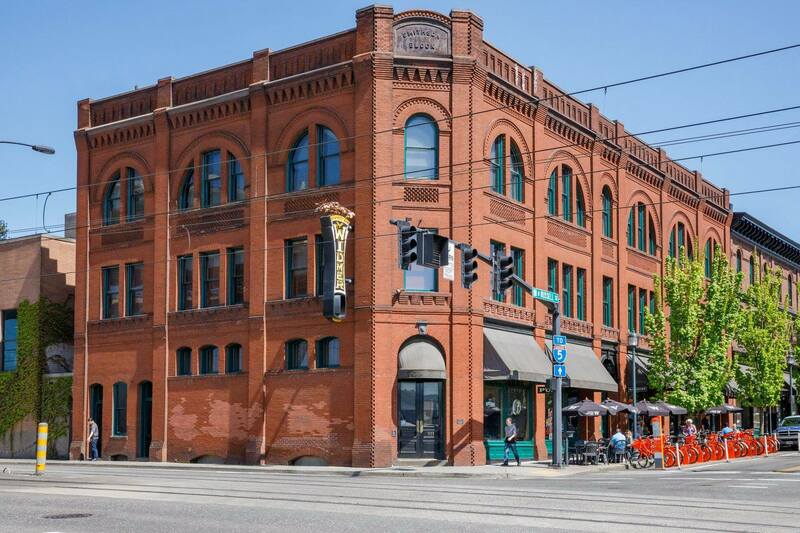 It still pretty much looks like French baker Philippe Garcia’s eponymous bakery, which fired off baguettes and ciabatta for Portland restaurant group ChefStable in the NoPo space starting in 2014. But then you spy a flat dough packet marked hojaldra in the case. It’s a square of laminated pastry layered with savory toppings like ham, cheese, and jalapeños, then more flaky dough, then lavished with sugar before it goes in the oven. 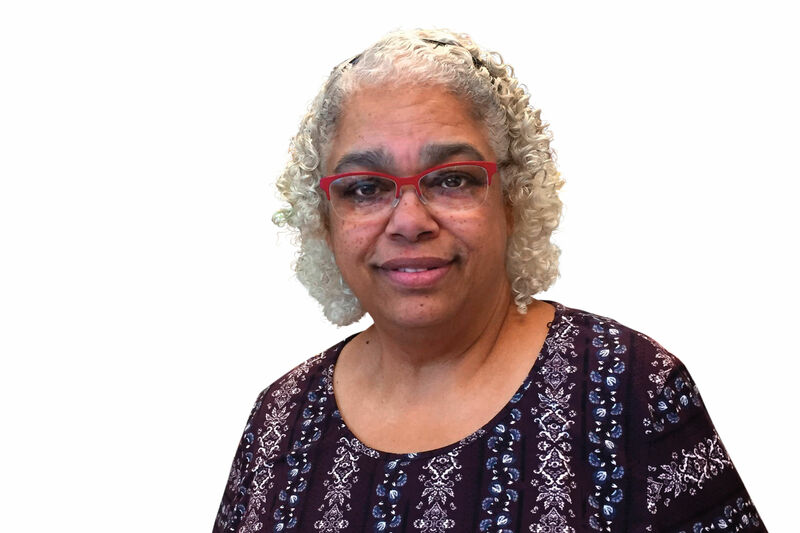 The result is a spicy, crunchy, cheesy, caramel-bubbly handpie that messes with savory and sweet taste receptors in the best way. It makes the standard ham-and-cheese pastry taste like wallpaper in comparison. 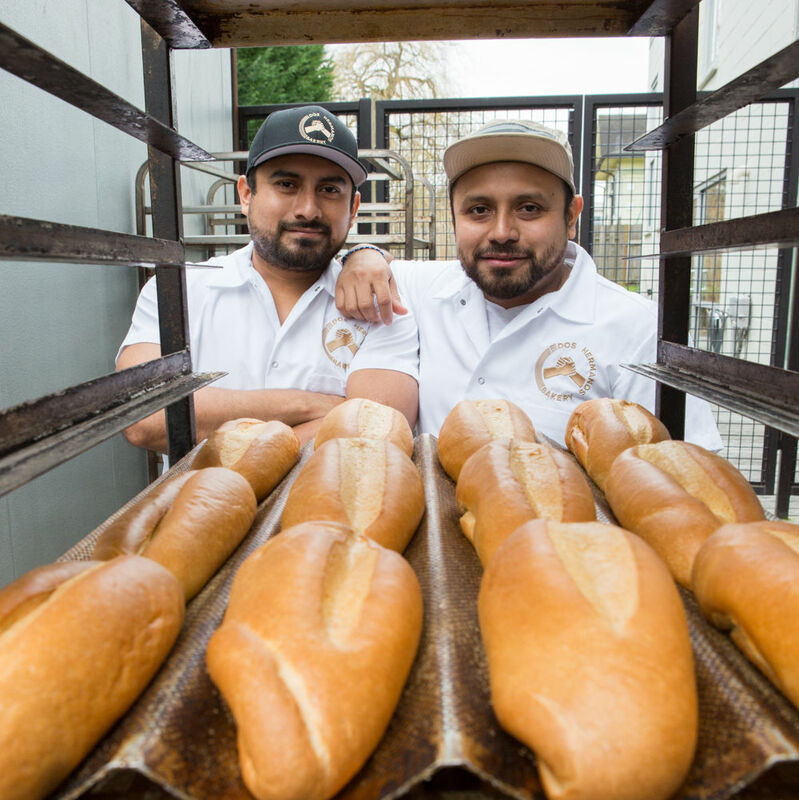 Dos Hermanos is run by Gabriel and, yes, his brother, Josue Azcorra, a pair of local bread vets who managed artisan forerunner Delphina’s for nearly a decade, baking for biggies like Trader Joe’s and Costco. They’ve been running this to-go-only bakery for the past year, for months maintaining the Philippe’s handle. Every week they churn out wholesale orders for ChefStable’s constellation of eateries, Lardo to Loyal Legion, plus rolls and buns for Pastrami Zombie, Fire on the Mountain, and more. But the pair has also slowly introduced intensely spiced breads and Mexican-inspired pastries, transforming Philippe’s into a true neighborhood bakery (sugar cookies for the kids included). 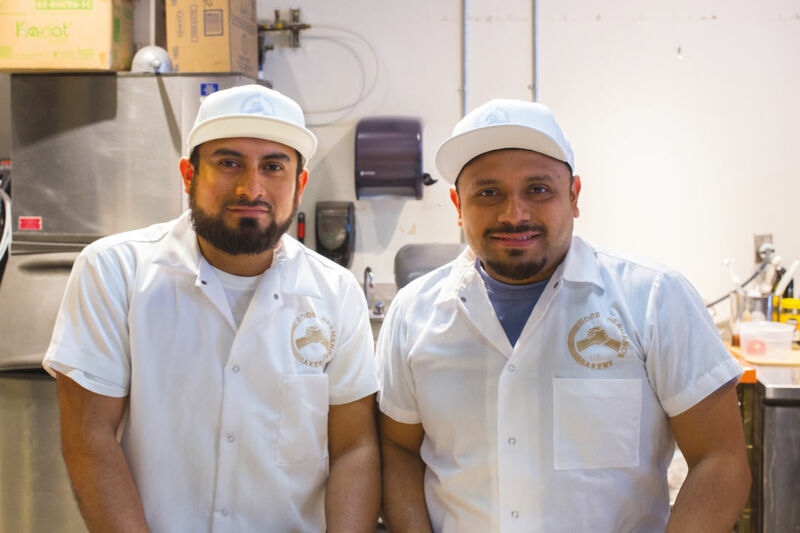 In early 2018, Gabriel and Josue officially became Philippe’s owners alongside ChefStable head Kurt Huffman, and debuted the bakery’s new name—a nod to their roots in the Yucatán. Those breads—all of ’em—are worth ordering. There are ciabatta, sandwich-style loaves, and bolillo rolls aplenty, but the house champ remains the baguettes: maxi-crunch tubes of sour-tanged greatness with a nice chewy center. The lardon baguette ought to be your default, its moist, stretchy interior flecked with bacon and punched with herbs. It tastes equally good layered with ham and butter or eaten unadorned, torn directly from its paper sleeve to devour while driving. On weekends, you’ll find weirdly wonderful specials like a polcan baguette teeming with beans, onion, and habanero that pops with rumbly heat and creamy earthiness. Pastries are another story. The bakery’s ever-changing case of goodies is more of a mixed bag, lumbering from over-poofed croissants lacking in buttery flake to dry poppy-seed scones, saved by a coconut glaze laden with nice hunks of crystallized ginger. 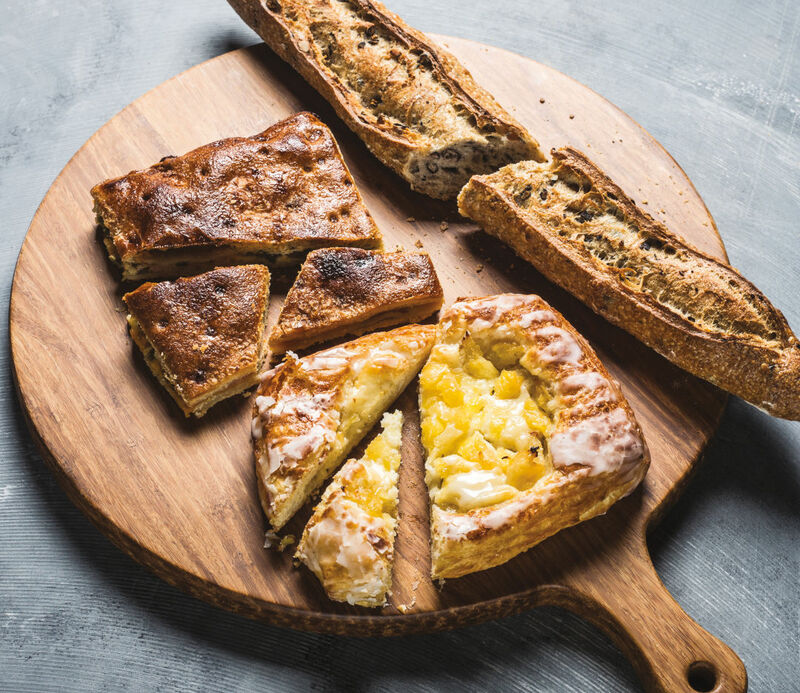 Instead, proceed directly to the springy, salty-sweet coffee cake or the house’s killer pineapple Danish—super smooth, tangy cheese dotted with pineapple on tender pastry crust, all drizzled with icing. Come early, as breakfast offerings are habit-forming and can sell out quickly, especially that catch-as-catch-can hojaldra and a great McMuffin-y breakfast sandwich on a proper house English muffin, stacked high with bacon and a nice little peppery egg puck. Meanwhile, lunch sandwiches—like a chicken chorizo or a veggie number with a mélange of roasty, herby squash, eggplant, and goat cheese—are respectable. But, really, fillings don’t matter, the bread’s the thing. Then again, you could discover a new obsession next week: the brothers are often visible just beyond the counter, in the bakery’s open production area, tinkering with fresh recipes.